Fail to believe in the unbelievable and a name like "Doubting Thomas" will follow you for eternity. Poor Thomas, despite traveling with Jesus for three years and witnessing untold miracles could not believe that Christ had raised from the dead unless he could witness it with his own eyes. 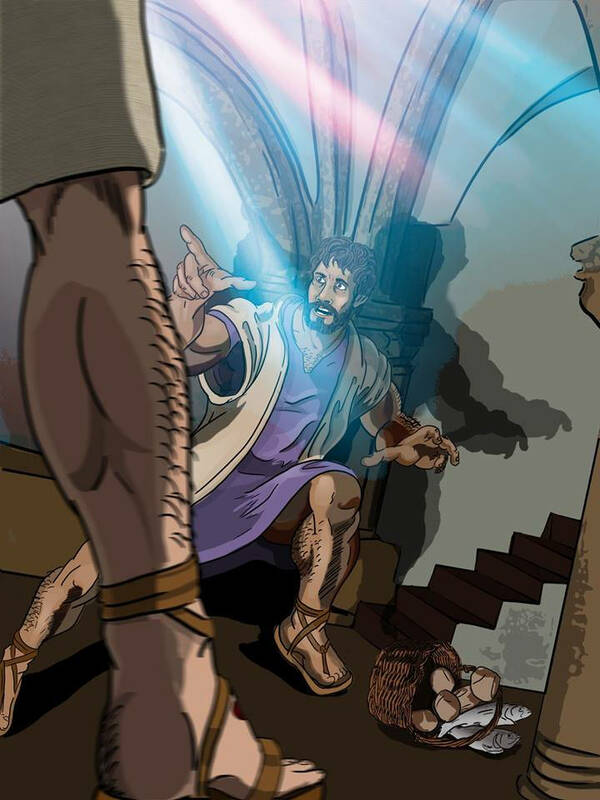 Seven days later, on the next Sunday after Easter, Thomas had to eat his words as the risen Lord walked through a locked door and appeared the apostles, causing Thomas to drop to his knees and proclaim Jesus as "My Lord and My God". St. Thomas would allow his faith in Christ to lead him to proclaim the Gospel in India where he suffered a martyrs death. May St. Thomas help us to increase our faith. "Lord I believe, help me in my unbelief."